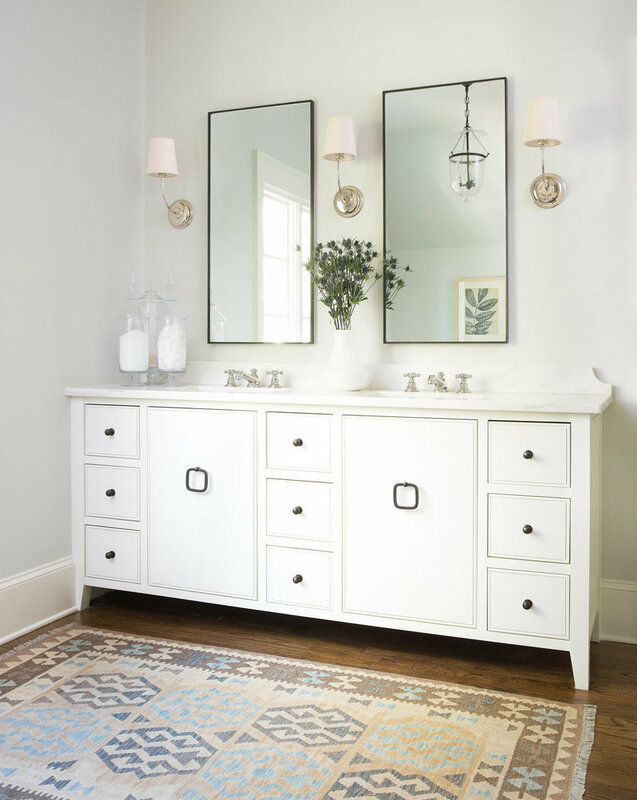 Home — Clemons Design Co.
With a decidedly classic, comfortable and effortless aesthetic, Clemons Design Co. is committed to creating homes that speak to a client's personality while crafting a timeless space that will be beloved for years to come. This very eye for beauty and a unique take on the interior design process is what has set Clemons Design Co. apart in the design industry since 2011. Our focus on a client-first approach and a dedication to ensuring a straightforward process have allowed us to create interiors that have a heritage quality and exceptional craftsmanship. With Dana's expertise in architectural design, the interiors Clemons Design Co. has created have an equal focus on beauty as well as an inherent sense of functionality and purpose. A love for classic details, soft palettes, and appreciation for texture allow us to create unique spaces that are effortless, exceptional and genuinely one of a kind. An English inspired, new construction home located in the heart of Decatur, GA is developed with classicism in mind. Much consideration was given to the layout and function of the house, especially the kitchen which is open to the main staircase, central hall, and family room. 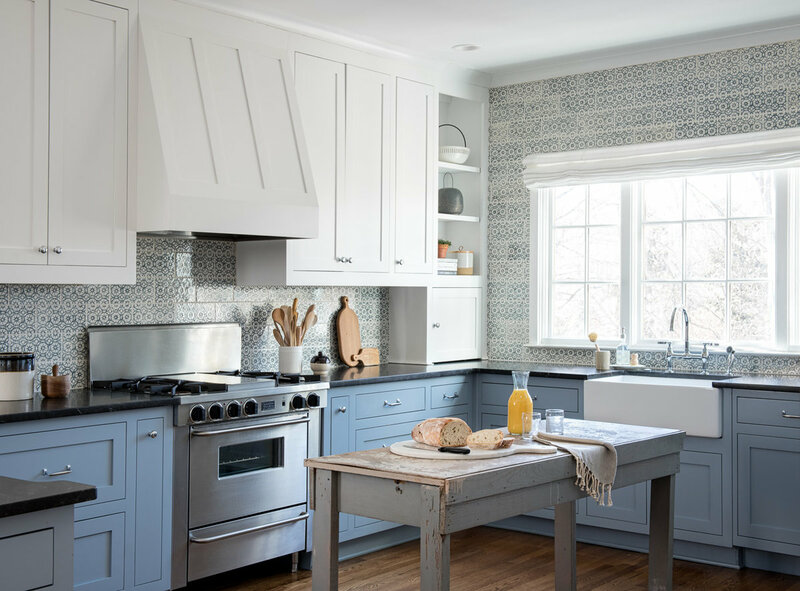 To keep the kitchen from looking too utilitarian, the appliances like the dishwasher and refrigerator were seamlessly integrated within the cabinetry. 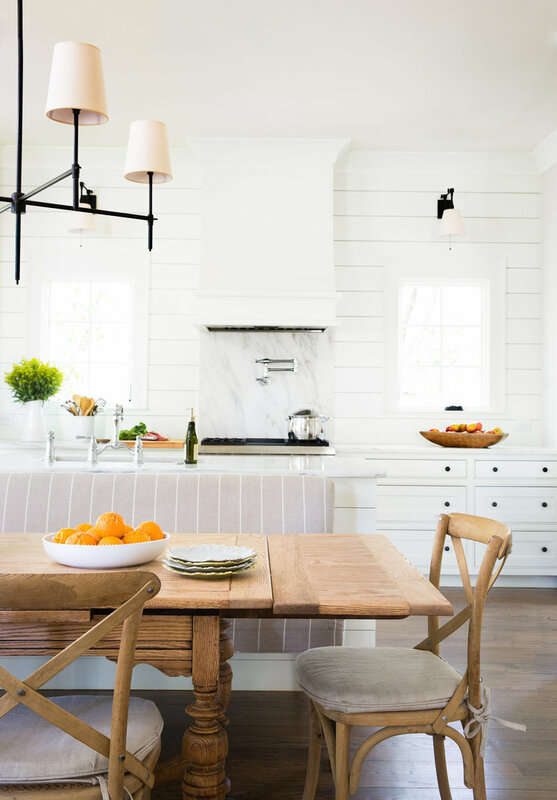 Unique details like creamy bright, white shiplap, warm walnut wood countertops, custom railings, and beautiful cove crown were added to create interest and character. Classic materials were used to help give the house a timeless feel. 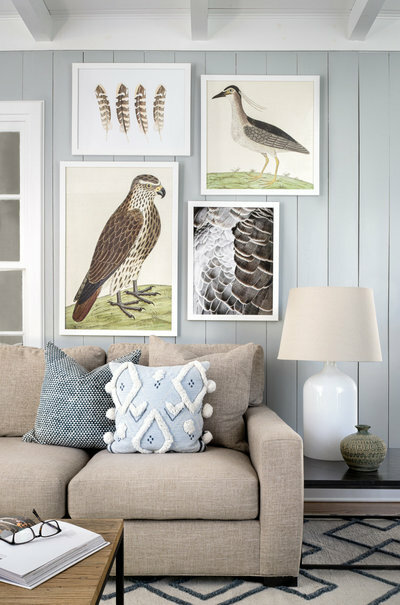 The home's aesthetic now reflects a classic, neutral and sophisticated atmosphere. We purchased a 1938 vintage Federal Revival style home in Decatur, GA. Shortly after that, we started down the path of a large scale renovation, and we were introduced to Dana Clemons (of Clemons Design Co.) by our architect. From the very first meeting, we knew that Dana was the right person for our project. Dana spent those early meetings listening to what we wanted to see in the house and then masterfully put those thoughts and ideas into the context of her own unique style and vision. The end result was nothing short of amazing. We absolutely love our home. In fact, now when we go on vacation, after about seven days or so we always end up saying how we cannot wait to come back home – and to us – that is the ultimate compliment of Dana’s work. Dana effectively took a physical space that an architect might refer to as a house and turned it into the very comfortable and welcoming place that we call home. 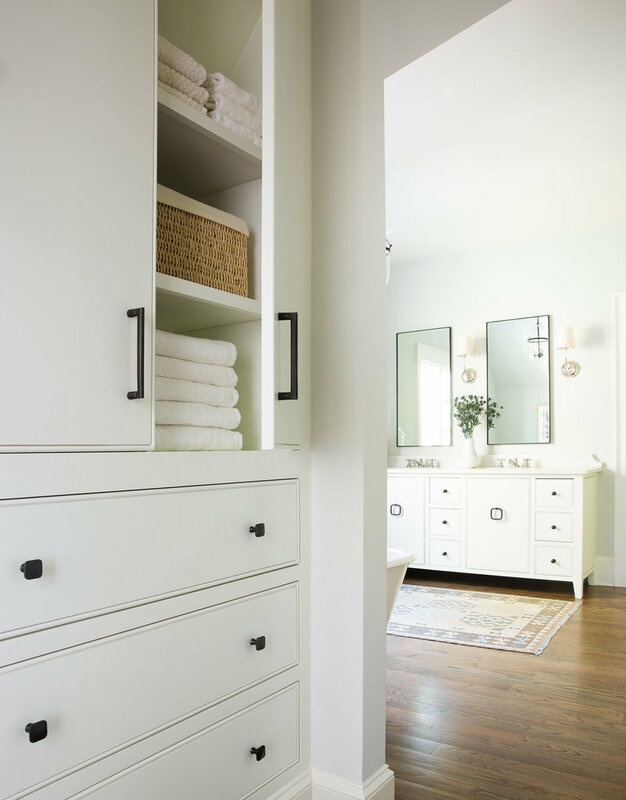 We have worked with Dana Clemons for several years in the design and furnishing of an extensive whole house renovation. Dana was instrumental in the design process throughout the project. 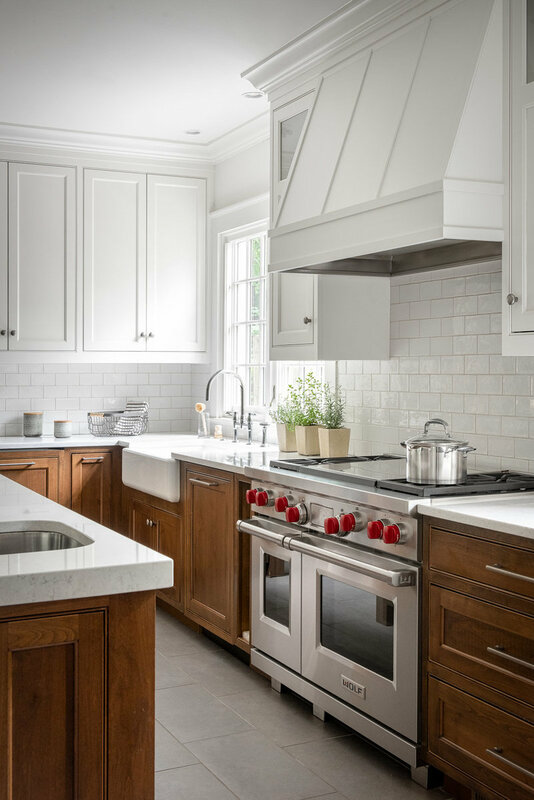 Her involvement included, among other things, selection of wall colors, counter top materials, cabinet colors, bathroom and kitchen tiles, mill work, and lighting. After construction was complete, she guided us through furniture selection as well as various textiles throughout the house. The end result was incredible, and we are so thankful to have met and worked with Dana. She has a keen eye for color nuance, dimension, and space. She is wonderful at mixing and balancing various materials. On a personal level, it was a joy to work with Dana. She was always eager to listen to our design preferences, while also introducing us to new possibilities which we had not thought about. She was always respectful of our ideas but always honest and willing to give guidance when needed. We would recommend Dana to anyone with design needs, no matter what style you prefer or how big or small your project is. Dana was recommended to us for kitchen design during a major renovation project. We were taking down walls and raising ceilings while keeping the existing footprint of an old home. 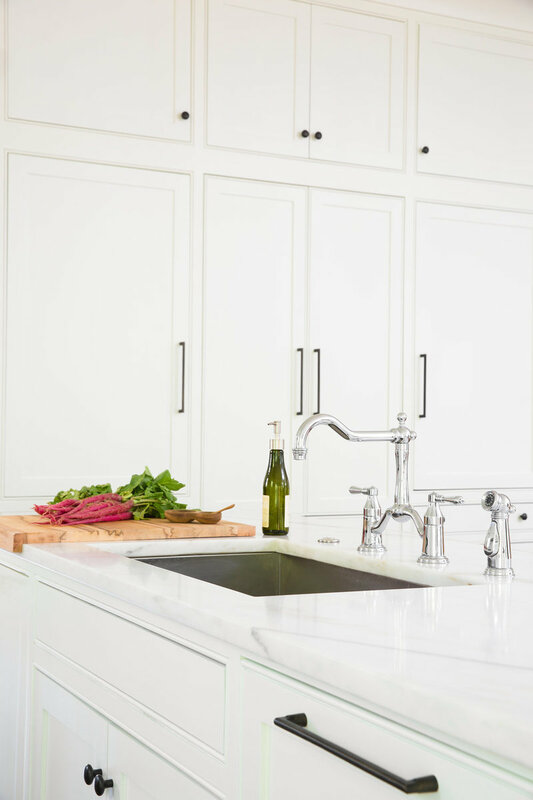 Dana was able to design a kitchen that was exactly what we envisioned for our family when we purchased the house. As our renovation unfolded, she redrew almost every space for us and added many details that were overlooked by our builder. She was conscientious and knowledgeable about our process. She was always punctual and available to meet or to communicate via email. She was resourceful with outside vendors when we had specific items we were looking for. There were many times when I turned to her for advice about decisions in our home. She was patient throughout those processes and with making necessary changes. This was our first major renovation project and I can confidently say that we absolutely could not have done it without Dana. We have been in our new home almost one year. I recently contacted Dana again to help with furniture layout and design for our new spaces! 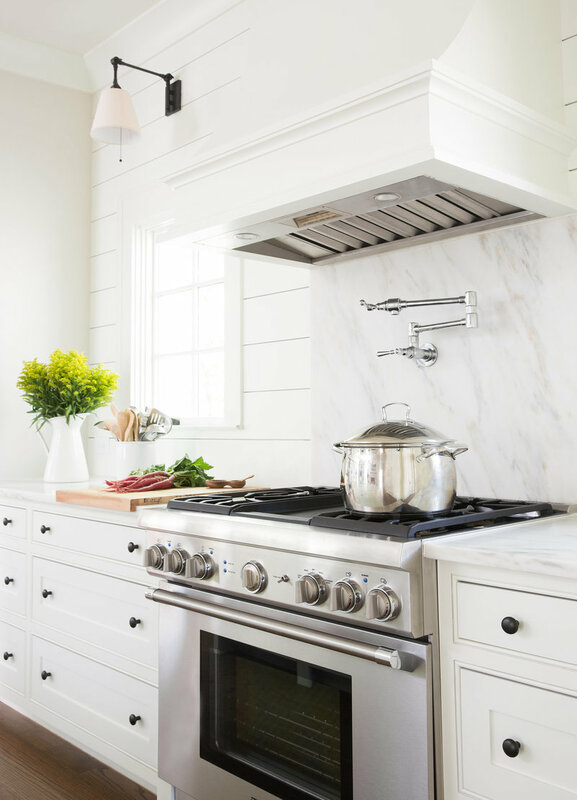 Unique details like creamy bright, white shiplap, warm walnut wood countertops, custom railings, and beautiful cove crown were added to create interest and character. Classic materials were used to help give the house a timeless feel. The home's aesthetic now reflects a classic, neutral and highly sophisticated yet cozy atmosphere.